In 2016, Nathan W. Gabbard became certified as a family law specialist by the State Bar of California, Board of Legal Specialization and has been a litigation and trial attorney for 9 years. 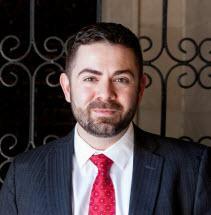 Mr. Gabbard graduated from Southwestern Law School in May 2009 and was licensed as an attorney in December 2009. He is the Executive Editor of the Family Law News periodical by the California Lawyers Association Family Law Section. Several articles authored by him are published in the Family Law News, on topics including: issues affecting transgender youth, presumed parent status, standing in state court to enforce a contract claim for spousal support arising from an immigration related federal form, and the importance of avoiding sloppy drafting in stipulated judgments and settlement agreements regarding income above base salary that may be reached for additional support purposes. He has also taught continuing legal education on the topic of the art of legal writing and the importance of saying what you mean. Mr. Gabbard is a voting member of the Family Law Executive Committee (FLEXCOM) of the California Lawyers Association. He is a member of the Association of Certified Family Law Specialists (ACFLS). He is also a member of LACBA, BHBA, SMBA and serves on the Leadership Council of the Los Angeles Center for Law and Justice (LACLJ). He participates in the Regional Legislative Committee of the Family Law Executive Committee. He has served on the Executive Committee of the Beverly Hills Bar Association Family Law section and has been a member of the Executive Committee on the LGBT Bar Association of Los Angeles, where he served as Secretary, Membership Chair, and voting member of the Board of Governors. Mr. Gabbard has been designated as a "Super Lawyer Rising Star" in 2017 and 2018, which is a designation awarded to only 2.5% of the lawyers in the state. Nathan W. Gabbard has also been designated as Top 10 under 40 by the National Academy of Family Law Attorneys (NAFLA) and 10 Best Attorneys (California) for Exceptional and Outstanding Client Service by the American Institute of Family Law Attorneys. Before going to law school, he worked in the entertainment industry at a talent agency as a commercial talent agent and secured employment for talent (actors, comedians, models) in national network television commercials. In the past, he has volunteered as a presenter of Safer Community workshops, providing information and opening a dialogue with college students about domestic violence, and has presented at the Inn of St. Ives at Southwestern Law School regarding gun violence restraining orders.